Old age is something people desire and dread at the same time. The gradual loss of responsibilities and work go hand in hand with the loss of energy, fitness, and the breakdown of the various bodily systems. As such, there are a host of afflictions that affect senior citizens commonly, leading to loss of quality of life in their twilight years. Here are some of the more common health issues that arise out of age. Arthritis is the most common ailment associated with old age. The gradual loss of joint cartilage and bone tissue can cause chronic pain in the joints and inflammation. Early detection of arthritis is crucial to treatment by non-invasive procedures like injections and inserts in many cases. However, if the loss of cartilage and bone has been extensive, a joint replacement is often the only way left. Hypertension, the medical term for high blood pressure, can be caused by a variety of factors, the chief of which is genetics. However, it may also be symptomatic of some other underlying health issues that might need further investigation. High blood pressure can easily culminate in stroke, blindness, or kidney failure. Keeping high blood pressure in check requires constant medication, so the only thing that remains to be done is to ensure that the proper medication is taken regularly and no doses are missed. The inability to see nearby objects closely is one of the earliest symbols about the onset of old age and is evidence of the body’s abilities slowly reducing in effectiveness. In addition to general tiredness of the eye, being unable to focus accurately poses a great deal of strain on the eye, causing headaches and even mild pain in the eye. Using corrective lenses can alleviate the issue, but no permanent treatment exists for farsightedness resulting from old age. High cholesterol can result from bad diet but it can also be symptomatic of coronary heart disease. High cholesterol levels can result in arterial blockages and reduction of oxygen levels in the bloodstream. While cholesterol is an essential component that lubricates the blood vessels, too much of it can be detrimental to health. A strict and healthy diet can usually bring cholesterol levels back to normal, but it must be adhered to if there is to be any sustained period of health. Sleep apnea is the obstruction of the airway during sleep. In most cases, sleep apnea results in extensive interruption of sleep by causing the person to wake up multiple times in the middle of the night. In many senior citizens, sleep apnea often fails to wake them up, leading to asphyxiation in sleep or even brain damage. It is therefore import to watch out for this. Sleep apnea can be dealt with using medical devices or surgery. Dementia is the gradual loss of brain and cognitive functionality with age. 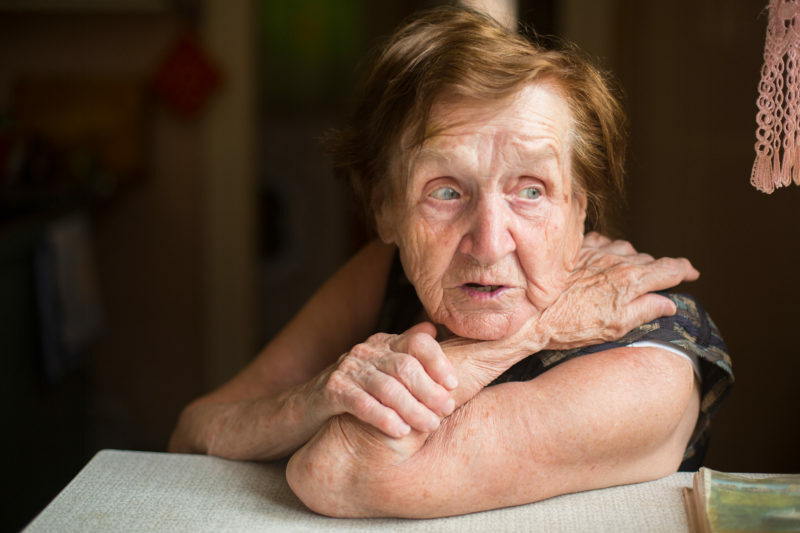 Characterized mainly by Alzheimer’s diseases, dementia is often the most obvious marker of senility. While there are no definitive cures for dementia, symptomatic treatment and the use of assistive technology can significantly improve the quality of life people get access to during these years. Being diagnosed with cancer in old age can be heart breaking. However, it is the truth that statistically cancers affect either the very young or the very old. With 70% of deaths as a direct result of cancer happening in people aged over 65, the probability of cancer is a very real thing. Cancer, as we know, has no cure. But symptomatic treatments can be helpful in maintaining one’s dignity and self-respect in their last days. Previous articleThe Mother Who Saves Money For Her Own Funeral!